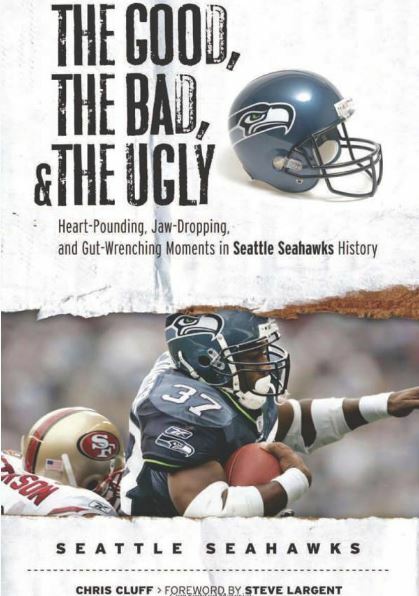 This Super Bowl matchup is near and dear to the Seahawks’ aching hearts: The division rival the Hawks cannot beat right now vs. the one-time Super Bowl nemesis the Hawks will always regret not beating. 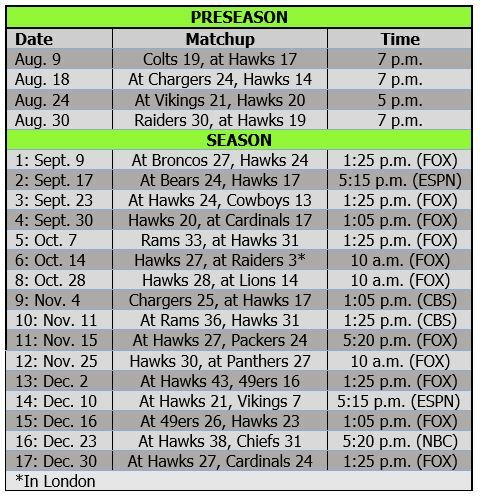 The Rams and Patriots are the teams the Hawks have to figure out how to defeat if they are going to win another Super Bowl under Pete Carroll. 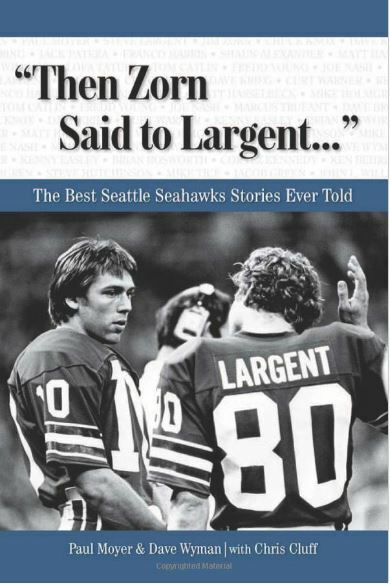 Sorry, Pete, but there’s only one team that has done that, and it’s headed to the Super Bowl again. So Carroll and the Seahawks will have to content themselves with trying to do it better than anyone but the New England Patriots. Bill Belichick and Tom Brady continue to prove they are the best coach-QB combo ever, now on to their eighth Super Bowl together and a cinch for Team of the 2010s as they go for their third win in four appearances this decade and sixth win overall. That’s doing it better than it has ever been done. It’s no surprise that John Schneider and Pete Carroll are going to be running the Seahawks for at least the next four seasons together. Where else are they going to find a better situation than the one they have built in Seattle? Schneider and Carroll have put together a team that is poised to contend for Super Bowl titles for at least the next three seasons (see the projected lineup) — and probably well beyond that. 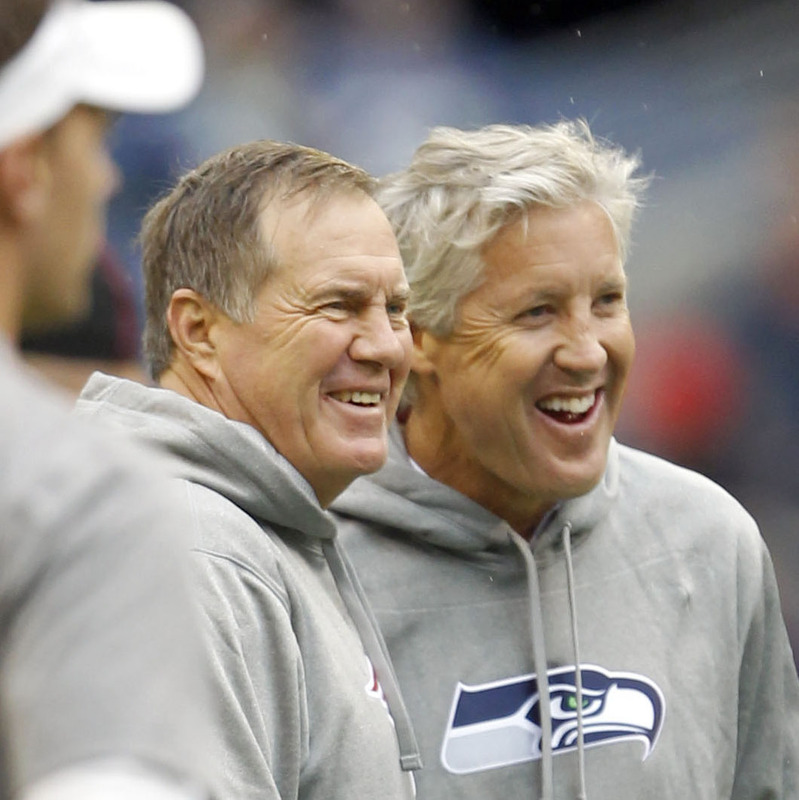 Schneider and Carroll have built an organization with similar staying power to Bill Belichick’s crew in New England. 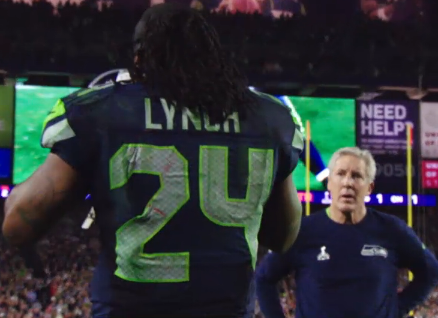 Pete Carroll stands dumbfounded as Marshawn Lynch walks by after the interception. In that time, Pete Carroll and Russell Wilson have defended the play and the man who called it, Darrell Bevell. Patriots coach Bill Belichick has spoken out against the critics, lavishing praise on Carroll and his Seahawks. EA Sports even created an alternate ending in which the Seahawks run the play nearly all of us think they should have run — with Marshawn Lynch scoring the winning touchdown. 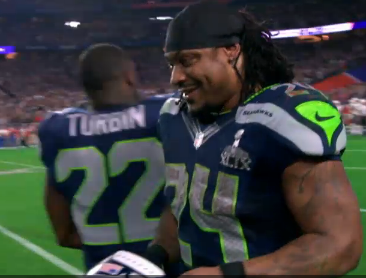 And “NFL Insiders” showed the last play from the sidelines, listening in on the coaches and players and catching a shot of Lynch walking off the field after the interception with a wry smile on his face. If you are an independent thinker — not subject to the whims of societal group think, peer pressure, corporate “yes manning” and pack journalism — you have to love this Super Bowl matchup. If you’re not afraid to go against the grain, you have to love the way Bill Belichick and Pete Carroll sand the floor, creating smooth bases for their football teams. You have to love how they wax on about their brand of football, which no other coaches can hold a candle to. And you have to love how they paint the D-fence with exacting brush strokes. 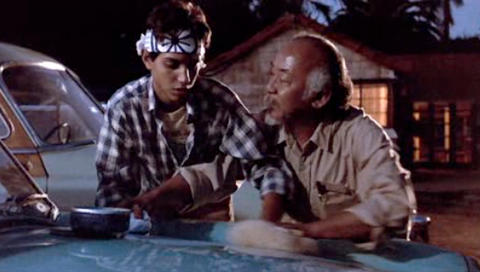 Yeah, Mr. Belichick and Mr. Carroll do it the Mr. Miyagi way: They’re confident, creative, flexible, fundamental, defensive, quietly defiant — and perfectly unapologetic about the way they run their teams. These two senseis have dominated football for 15 years, and how appropriate that they finally get to match up in the biggest game of the year. 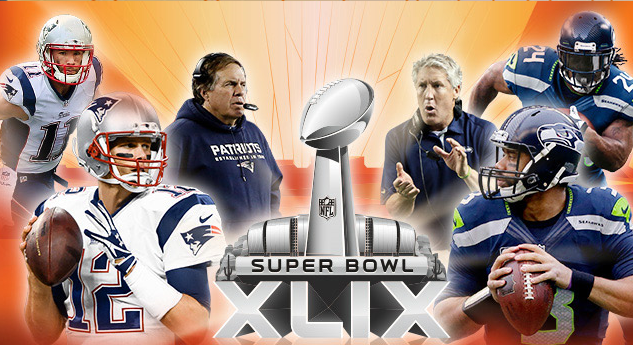 Super Bowl XLIX — with the matchup many of us projected before the season started — will be a proving ground in so many ways for both the Seahawks and the Patriots. Going against the man who succeeded him in New England, Pete Carroll will have a chance to prove he is every bit the coaching genius that Bill Belichick — long the NFL’s best coach — is. What better way to do it than head to head?